The look that air-cooled cars offer really can’t be duplicated in any other car culture. I guess it has a lot to do with the engine being in the trunk, and allowing to absolutely slam the hell out of it, static of course. There is just some thing about those sunken in wheels, the classic colors and styling. I came across this pic and thought it was really cool. It’s different from what you tend to see from the air cooled guys. Mainly the black accent pieces. He carries the accents very well through out the whole car, giving it a slight motorsports look. 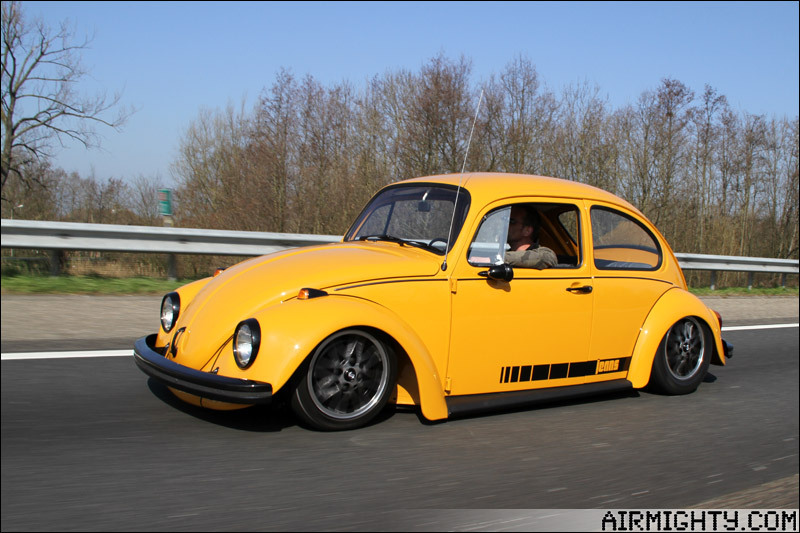 Something you simply don’t see very much on air-cooled dubs. I digg. PS – I apologize for the lack of posts, things may be getting busy, but I promise to keep content fresh. Thanks!